Episode six of Juke Box Jury in 2019 with Elaine O’Neil and Matthew Ker joining Ewan Spence to judge Belgium, Belarus, Denmark, Iceland, and Israel, in our latest podcast. The return of the triangles, the remixes of promotion, and the sofa tours across the continent… plus a Eurovision Thought from Forest FM’s Ciaran Urry-Tuttiett in the latest Insight News podcast. 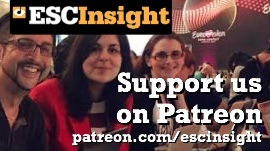 The fifth episode of Juke Box Jury in 2019 with Ross Middleton and David Elder joining Ewan Spence to judge Germany, Slovenia, Albania, Cyprus, and Switzerland in the latest ESC Insight podcast. Concerts, confirmations, and curiously missing triangles. All that, plus a Eurovision Thought from John Egan. 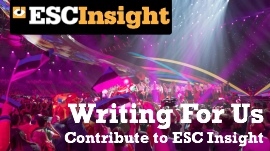 Ewan Spence and the ESC Insight team cover the latest details from the world of the Eurovision Song Contest 2019 in the Insight News podcast. Episode four of the Juke Box Jury 2019 podcasts sees Ellie Chalkley and Karie Westermann with Ewan Spence to judge Czech Republic, Greece, Lithuania, Sweden, and the United Kingdom.